TechnoServe’s Cosechemos Más Café (Better Coffee Harvest) project, in partnership with the U.S. Agency for International Development (USAID), the J.M. Smucker Company and the PIMCO Foundation, seeks to boost the productivity and the quality of the coffee produced by smallholder farmers of El Salvador and Nicaragua, thus improving the income of farming families. The project includes three components: training and technical assistance, access to finance and inputs, and knowledge management. Having a fruitful business such as coffee production can help empower women economically. When earning and managing her own income, a woman has more opportunity to play an active and equal role in family decision-making. However, coffee is a demanding crop, requiring a significant investment in time and resources. This can be especially difficult for women, who are expected to continue their domestic obligations, even when farming coffee. Access to land – In Nicaragua, significantly fewer women own land than men. Yet land ownership is critical for accessing credit, and in many cases, a prerequisite to joining a farmer organization. Production capacity – In a baseline survey TechnoServe conducted in Nicaragua and El Salvador, both men and women respondents identified coffee as their main crop. 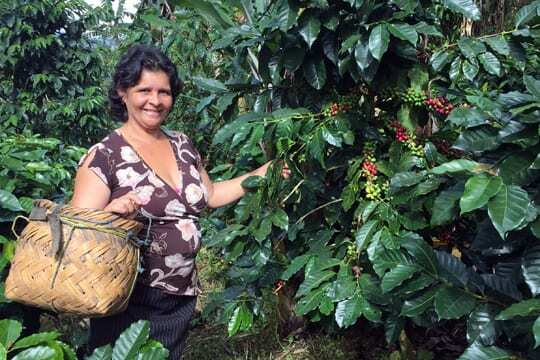 However, Nicaragua had nearly 25 percent fewer women coffee farmers, who report that almost a quarter of their land is not under production, compared with 7 percent of unused land under male ownership, due to lack of resources and technical knowledge. Distribution of tasks – Both men and women coffee producers are involved in the entire cycle of coffee production. However, they each focus on different tasks. Women producers devote more time to the work of cutting or harvesting, while men are typically in charge of pruning, planting, fertilizing, pest management and negotiating coffee sales – meaning men are largely left in charge of financial decisions. In addition, nearly all of the household responsibilities fall on women, limiting their time and ability to participate in training activities. Access to credit – Credit is a limited resource for both male and female farmers in Nicaragua. However, since women often do not possess collateral in the form of physical assets, they have more difficulty accessing the finance they need to buy inputs and invest in their farms. These specific challenges have a strong impact on women farmers’ income. 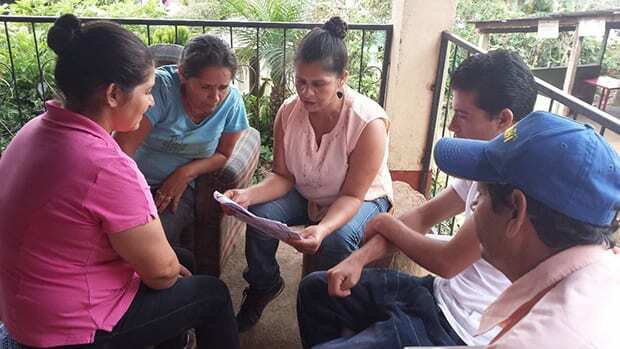 TechnoServe’s baseline study found that in Nicaragua, women coffee farmers earned on average 65 percent less than their male counterparts, while in El Salvador, the income gap was at 200 percent. Urging husbands to bring other members of their family and reaching out directly to women through written invitations and member organizations. Ensuring that a portion of the project’s demonstration plots are established on farms owned by women. The program successfully allocated 22 percent of demonstration plots to women in Nicaragua and 20 percent in El Salvador. Building a gender-balanced team of community trainers (46 percent women and 54 percent men). Training project staff on issues related to gender equality. Integrating gender indicators into the project’s monitoring and evaluation process to assess the impact of gender and develop more effective strategies to engage women farmers. The project was able to engage 1,990 women, accounting for approximately 30 percent of total program participants, exceeding the gender target initially set by more than 250 percent. As a result, the team has adjusted their target for women’s participation from 25 percent to 35 percent. Women were nearly as likely as men to adopt the new practices, with a 32 percent adoption rate among women and 37 percent among men. Maritza serves as president of the Green Mountain Cooperative, a cooperative of coffee, flower and natural medicine producers; as coordinator of her community’s Family, Community and Life Cabinet; and as secretary of the Tourism Committee of the Cerro Arenal Reserve, an ecotourism destination where her farm is located. Even with all of these responsibilities, her farm remains a successful model for good agricultural practices. However, her journey to success has not been easy. Together with her husband, Francisco, Maritza purchased five acres of land to cultivate coffee over ten years ago, and began to grow and sell flowers as a source of extra income. Unfortunately, her entrepreneurial spirit was not always supported by her husband, creating conflict in their relationship. Despite attempts to reconcile, the relationship continued to deteriorate, and after 25 years of marriage the couple divorced. In the end, Maritza was forced to leave the farm with her nine children. The situation was difficult for Maritza, causing her health to deteriorate. Driven by a need to support her children, she made her case to national legal bodies, eventually managing to regain legal ownership of San Francisco Farm. “We had to start again, rebuild the farm, replant coffee, and do it together with my children,” explains Maritza. Maritza believes that was a defining moment in her life. In 2013, she began to look for new opportunities and ideas to improve as a coffee producer. She participated more actively in the Green Mountain Cooperative, which allowed her to connect with coffee exporters such as Café Nor, a TechnoServe partner, in the region of Matagalpa, and register as an active supplier and participant of the project Cosechemos Más Café, where she has been learning improved agricultural management techniques. Maritza’s participation in TechnoServe’s training has been successful. A year after joining the program, Maritza has already increased land under coffee cultivation production by one-half acre and started growing new coffee varieties with TechnoServe’s support. The project has enabled Maritza to share the importance of good farm management with family members and other coffee growers in the community. She is promoting skills for approaching farming as a business, including planning, budgeting and connecting with potential buyers. Maritza is well-known throughout the community, offering valuable support and encouragement – and a cup of fresh coffee – at San Francisco Farm. 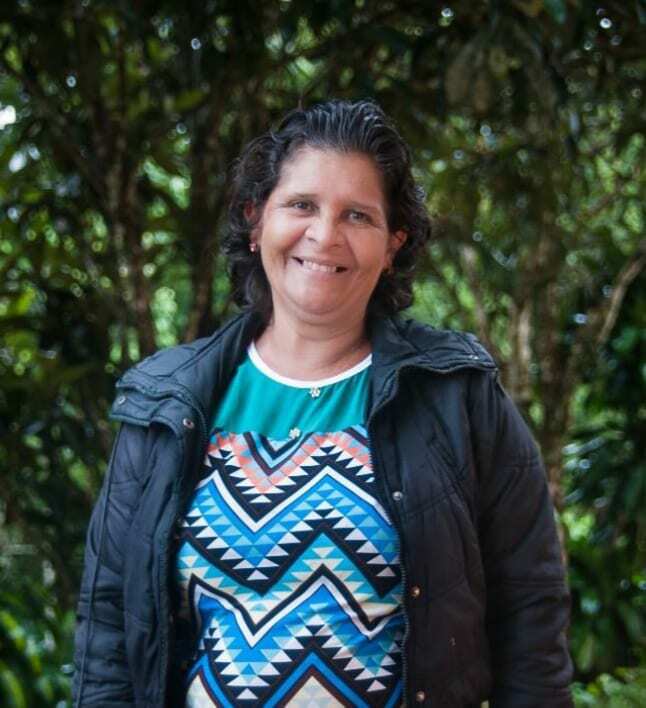 She has come a long way on her path to success, making her an important ally in the integration of women coffee growers in the program, with a sense of confidence that motivates other women farmers to listen.